Who doesn’t get excited about sushi! When we think about sushi we imagine bite size rice mounds topped with colorful high grade raw fish. We also picture rolls of rice wrapped in nori and stuffed with a variety of pickles, fish or cucumber. But there’s another less known type of sushi that’s extremely popular in Japan – inari sushi. With its sweet and vinegary taste, inari sushi is a home style stuffed sushi that makes a great addition to bento boxes and packed lunches. It’s easy to carry around and is so delicious it can be seriously addictive. And good news for all of us – it’s also super easy to make! Inari sushi, or inarizushi, is a simple dish of sushi rice stuffed in seasoned fried tofu pouches. 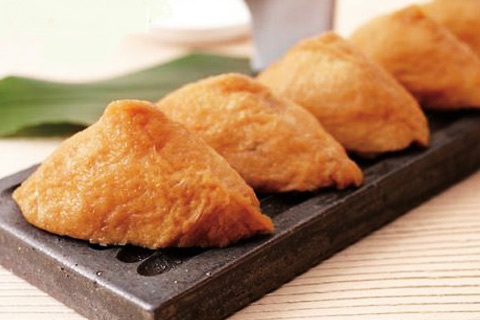 Inari sushi pouches are made by simmering deep fried tofu pockets in a mix of sugar, soy sauce, sake, mirin and dashi. Once the pockets have softened, they are squeezed to remove the excess liquid and are then stuffed with sushi rice. Inari sushi is considered to be a very casual food which makes it ideal for picnics and boxed lunches. No chopsticks are needed since it can be eaten by hand just like onigiri. We’ve omitted the dashi in our recipe to make this inari sushi recipe, vegetarian and vegan friendly. Inari sushi will keep refrigerated for 1-2 days, stored in an air tight storage container. Make these sweet and savory inari sushi pouches as a snack for your family or as part of your next bento lunch! By using the Synchro-Cooking function on your multi cooker, you can speed up the prep process by seasoning the deep fried tofu pockets in the Tacook plate, while the rice is simmering underneath. 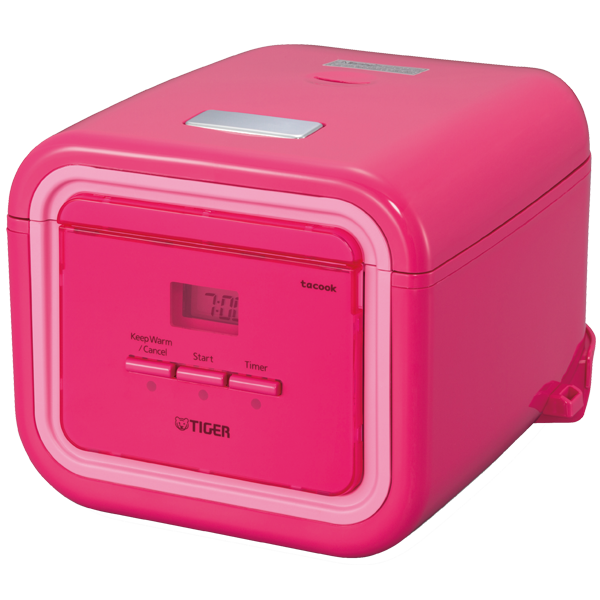 Here at Tiger, we believe in making your life easier in the kitchen! Cut the abura-age pouches diagonally in half. Rinse off any excess oil with hot water, squeeze dry, and place the pouches in the Tacook cooking plate. Mix abura-age seasoning and add to the Tacook cooking plate. Put the washed rice and water in the inner pot, and set in the rice cooker. Set the cooking plate above the inner pot. Select “Synchro-Cooking” menu and press the Start key. When cooking is complete, squeeze the abura-age pouches well to remove excess liquid to a plate and transfer to a plate. Let them cool down to room temperature. Transfer rice to a large bowl and quickly stir in the rice seasoning while fanning the rice to cool down. Stir in black sesame seeds. Stuff the abura-age pouches with about 1/4 cup of rice and put them on a serving plate.